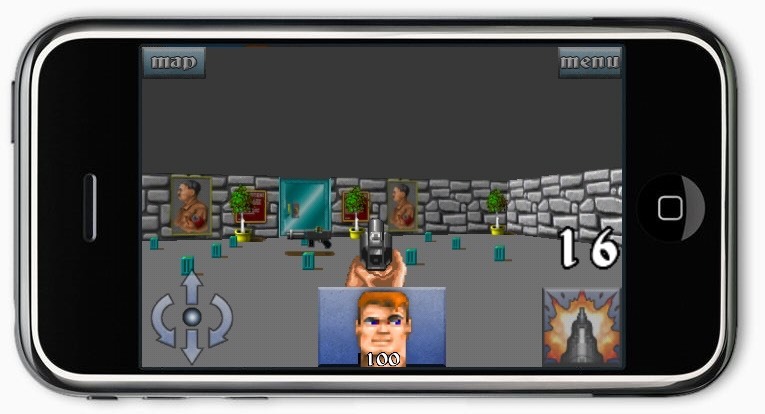 In 1992, a revolution that would change gaming forever released to the PC platform. 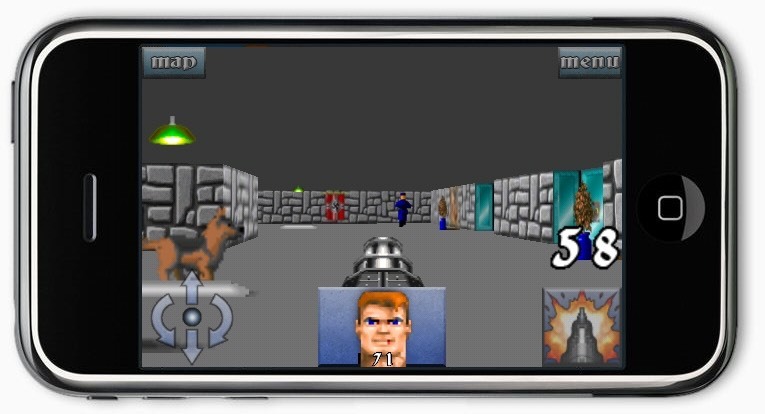 Before Halo, Call of Duty and Doom, there was a shock wave that permeated through the industry and the catalyst for this was none other than Wolfenstein 3D. This was the true beginning of the FPS (First Person Shooter) genre (although not the first) and at the time was not just a breakthrough in gameplay terms, but also very controversial due to its Nazi imagery. Today most first person shooters would be mocked for not featuring blood, gruesome imagery and war references, but back in the day this was pushing the boundaries too far for some people. It certainly didn’t bother the new gamers on the horizon though as we all lapped up the offering. I first played Wolfenstein 3D on the Acorn Archimedes A3010, which unfortunately meant I had never heard the music until I tried the shareware version on the PC that allowed you to play a full episode out of the 6 in the full game. When I wasn’t playing Cannon Fodder (another controversial game at the time! ), I was battling Adolf Hitler and his evil forces, destroying the undead mutants, while also frantically changing between three floppy disks. You are William “B.J.” Blazkowicz, an American soldier attempting to escape from Castle Wolfenstein. Younger gamers may scoff at the now sadly primitive elements, however you can’t ignore the usual tricks that still appear today in games. 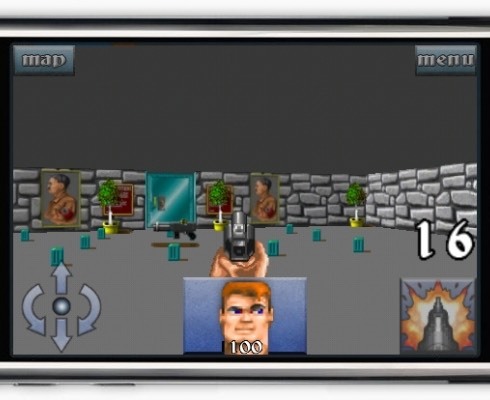 Wandering around collecting items including finding new weapons, replenishing ammo, locating treasure and keys to open important doors, trying not to alert the enemy to your presence, end of campaign boss fights, humongous weapons such as the chain gun and finally the screams that echo around the lengthy cold corridors. 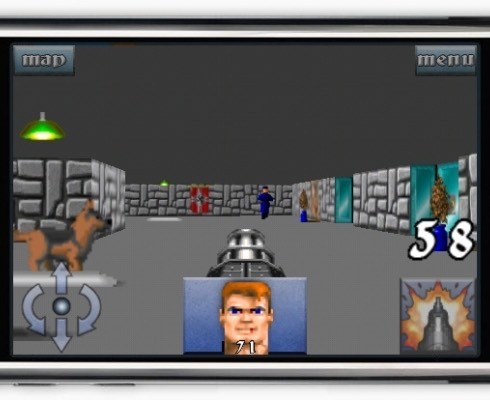 Even years preceding Call of Duty World at War, which featured those ravenous dogs that ferociously barked and chased down your scent, Wolfenstein 3D had already boasted such a dilemma. Before polygons, we had sprites. These were 2D animations that could be inserted into 3D environments, which had the amusing effect of no matter where you were in relation to a still object, it would rotate on its spot and follow your onlooking angle. You could never see the back of a non-animated object unless the back was all you were ever allowed to see! If you experienced Halo when it was first released on the original Xbox, there was quite an adaption required to learn using a controller instead of a keyboard and mouse on a First Person Shooter. 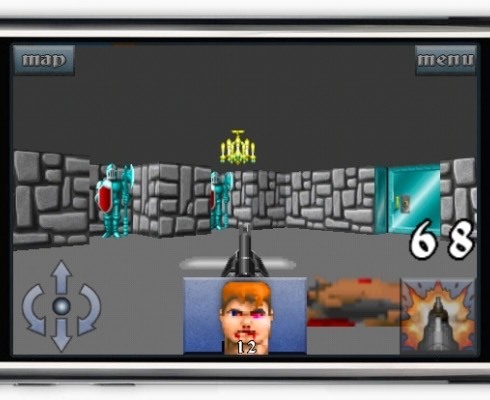 The iPhone has only a few buttons and none that can be used for gameplay, so instead a virtual control system is shown on the left hand side of the screen. With this you can move forward and backwards, rotate left and right. On the right hand side is a large button to fire your weapon. Thankfully opening doors is automatic upon you touching them, so no need to reach for yet another area of the screen. Changing your weapon is achieved simply by tapping the weapon itself. Taking damage will be reflected in your characters face as highlighted in the bottom middle section of the screen. If you are close to death, your face will appear bloody and beaten up, which can only be soothed by a health item. Yes something else you need to find on your travels. This is where the iPhone does struggle as the controls are not what typical gamers be it from consoles or computers are used to, however it actually works pretty well considering. The key is you can still enjoy the game without the need for a d-pad, analog stick and a range of buttons. 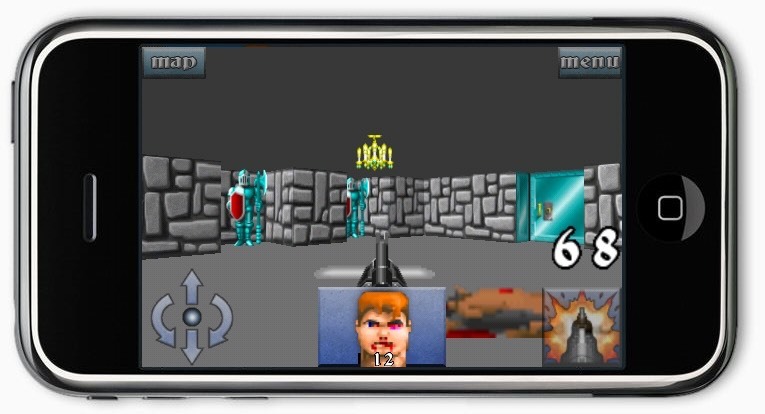 Compared to other iPhone emulations of real controls, this is certainly one of the better ones and you will soon be advancing through the levels in no time. If you are struggling with certain areas though, the game handily provides access to each and every episode and level within including the secret ones. Graphically the game looks wonderful considering its age. Yes of course it’s basic compared to today’s offerings, but you simply can’t compare this now retro title against the hardware now available. Even the Xbox 360 version that was released fairly recently didn’t have some of the visual tweaks this edition has, which just boggles and excites my mind. 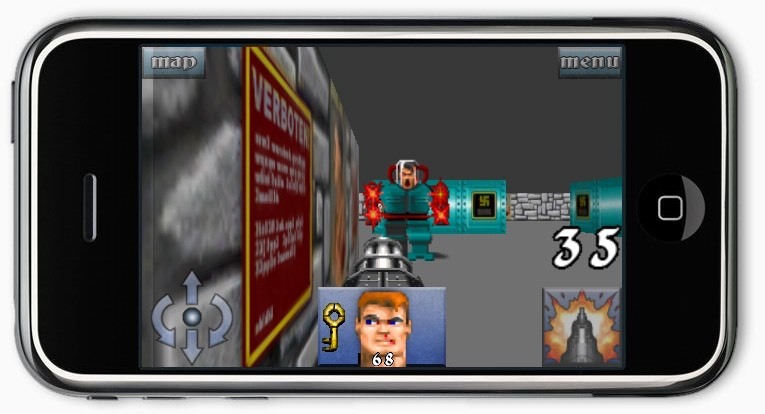 The sound, music and overall feel is distinctive Wolfenstein 3D and remains faithful to its origins. If you want to venture through gaming history retracing the epic steps created by the geniuses that have inspired where we are today, for goodness sakes don’t let this one slip through your touch screen fingers. 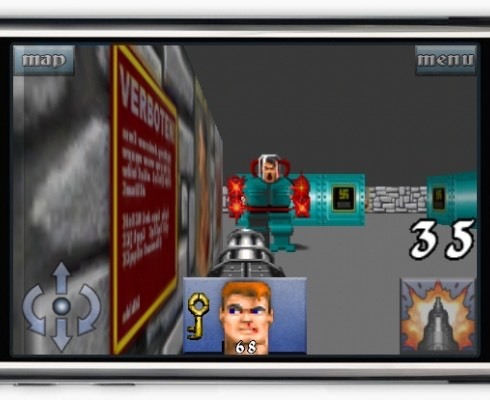 Wolfenstein 3D is a true classic and not just because of its age, but due to its popularisation of the genre that most of us now probably take for granted.